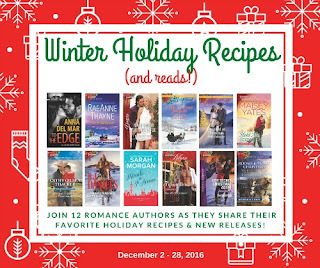 Please help me welcome bestselling author RaeAnne Thayne to the blog today as part of the Winter Holiday Recipes (and reads!) 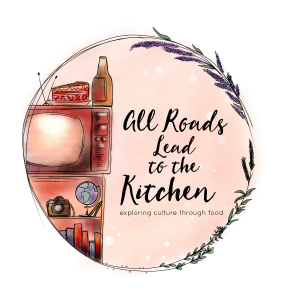 event with TLC Book Tours. 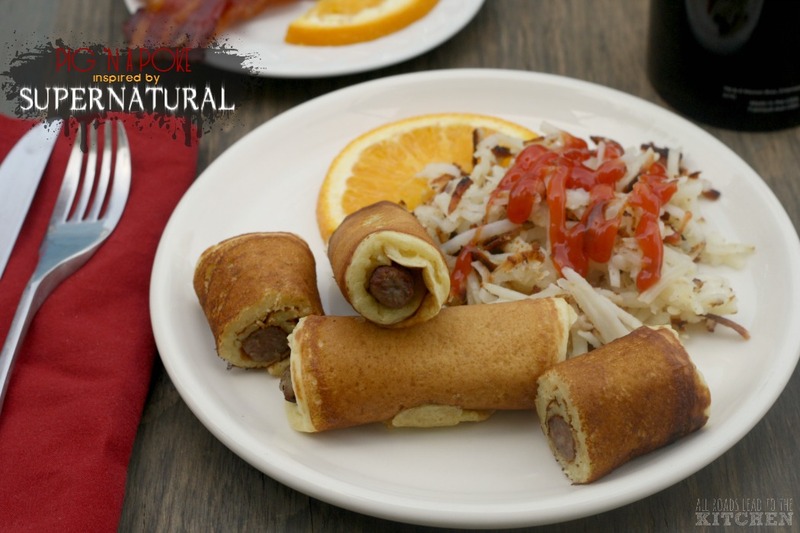 RaeAnne will be introducing her new release and sharing a recipe inspired by her latest Haven Point book. 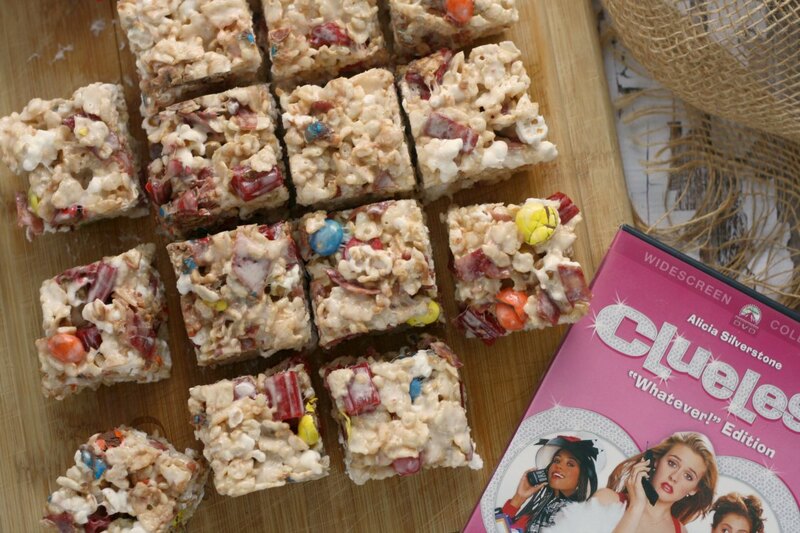 Plus, enter for a chance to win a baking-inspired prize pack further down in this post! 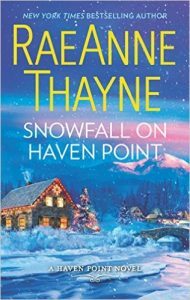 About Snowfall on Haven Point: There's no place like Haven Point for the holidays, where the snow conspires to bring two wary hearts together for a Christmas to remember. 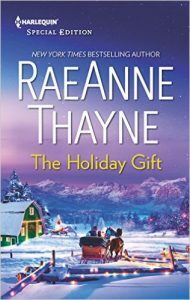 About the author: New York Times bestselling author RaeAnne Thayne finds inspiration in the beautiful northern Utah mountains where she lives with her family. Her books have won numerous honors, including six RITA Award nominations from Romance Writers of America and Career Achievement and Romance Pioneer awards from RT Book Reviews. 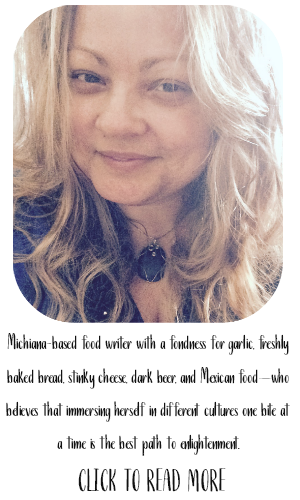 She loves to hear from readers and can be reached through her website at www.raeannethayne.com. 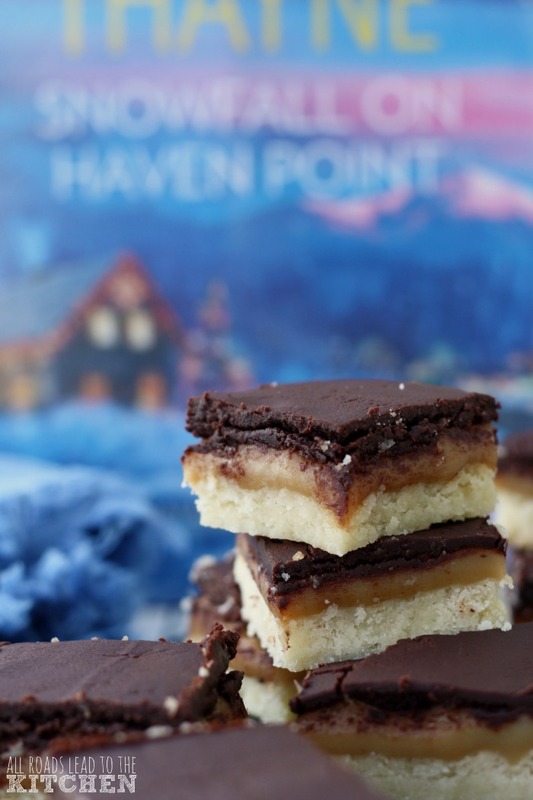 In one of my favorite scenes from my latest Haven Point book Snowfall on Haven Point, Andie takes homemade shortbread over to Marshall while he’s recovering from a broken leg. 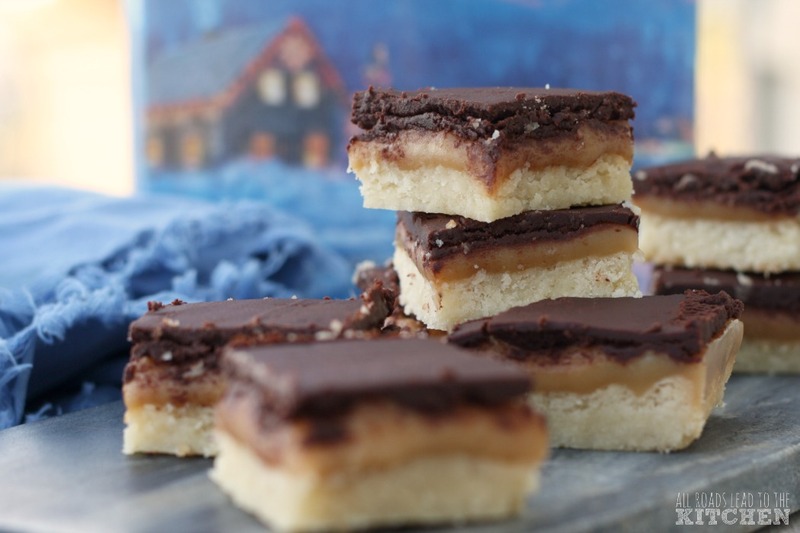 Just for you, here’s a fabulous shortbread recipe to try. 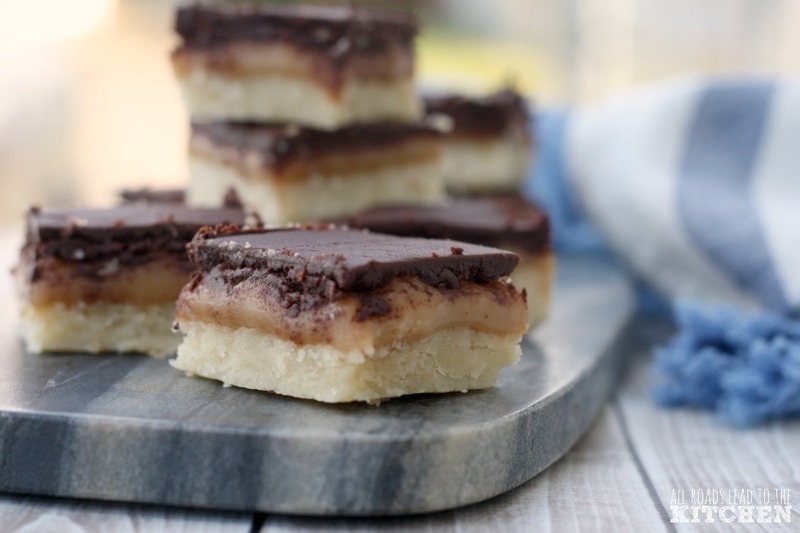 Crumbly shortbread and gooey caramel are topped off with dark chocolate in this perfectly sharable recipe for shortbread bars. Preheat oven to 350° F. Line an 8-inch baking pan with parchment paper, leaving an overhang, so you can lift it out easily later. Combine flour and sugar for shortbread together, then add the butter and use a pastry blender to cut everything together until you have even crumbs. Dump into prepared pan, then press into an even layer. 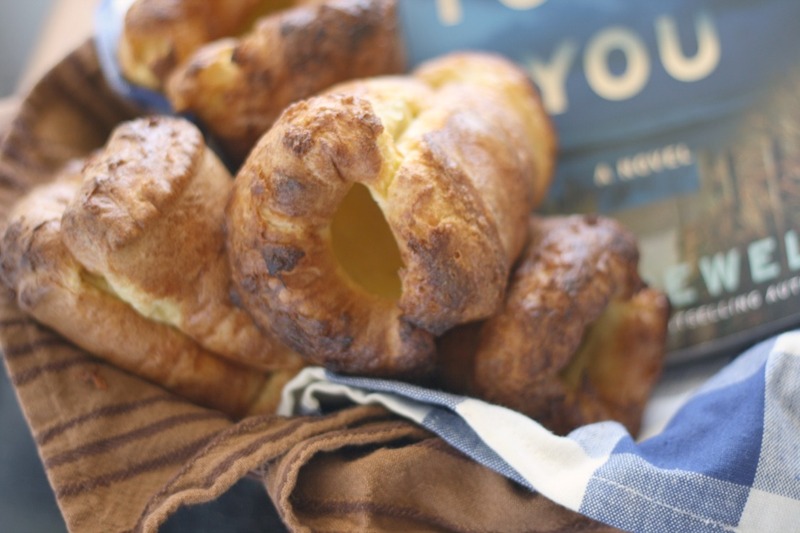 Slide into oven and bake until edges are golden, 23-25 minutes. Combine butter, brown sugar, corn syrup, and sweetened condensed milk for caramel in a 2-quart saucepot and bring to a boil. 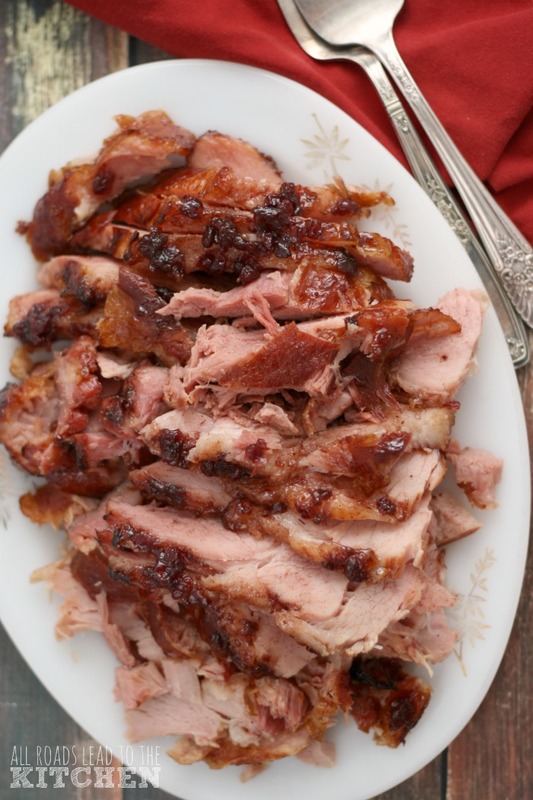 Turn heat to low and cook, whisking constantly, for 5 minutes. Remove from heat and continue to whisk vigorously for about 3 minutes. Pour the caramel over the prepared shortbread crust. Cool until it begins to firm (sticking the pan in the freezer makes it cool faster). Put the chocolate, cream, and butter into a microwave-safe bowl and heat for 1 minute. Stir, then continue to cook for 15 minute intervals, stirring after each, until melted and smooth. Immediately pour the chocolate over the caramel layer and use an off-set spatula or knife and spread to cover. Refrigerate until completely cool. To serve, grab the extra parchment paper and pull the square out of the pan. Use a knife to cut into bars. You could also cut into 64 small squares, which are perfect for adding to holiday cookie trays and tins. Store cooled bars/squares in an airtight container at cool room temperature or in the refrigerator.